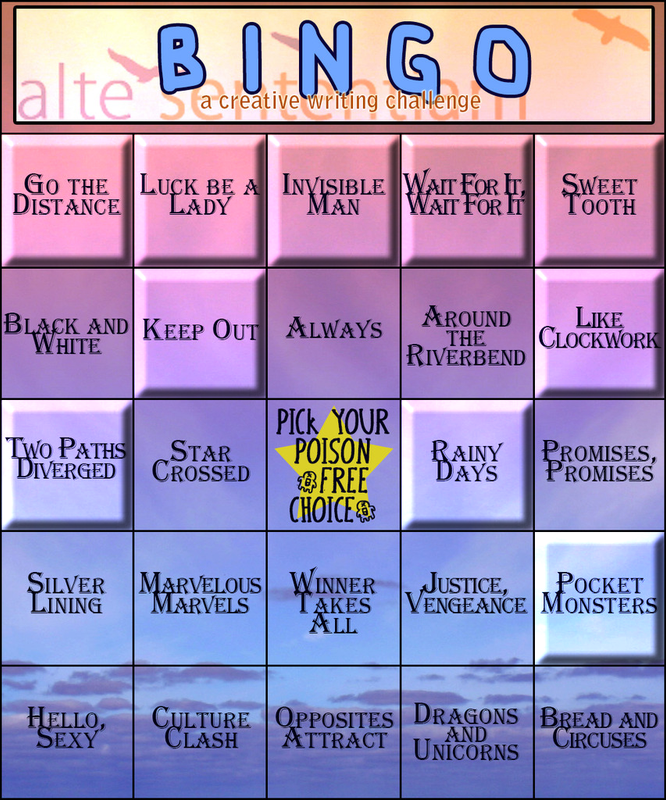 - The Alte editors and I will provide a BINGO board with writing prompts that can be done per issue. This board will remain constant throughout the HOL school year. - HOLers are welcome to take a prompt from the board and submit a short story relating to that prompt. - You are allowed a maximum of 20 points for this challenge PER ISSUE, 10 points per short story. You are, however, free to submit more stories (from the prompt) should you want. I'm not stopping anyone from doing so, but please note that I can only give you a max 20 points for this challenge per issue. - Short stories should be 300 words or more. This is not a drabble, so we'd like a little more effort, please. Conversely, please take note that you will only be getting 10 points per submission. Try not to send us anything longer than 1500 words (as much as I love getting longer stories, I do not want my editors and me to go crazy going through submissions). - All work MUST be your own. Plagiarized stories get burned by my pet dragon. Maybe I might even send my unicorn after you soon after. Just don't copy somebody else's stuff, please. - Send all submissions in the body of your email to alte.sententiam@gmail.com with the subject "BINGO: Your Story Title". Please include your HOL name, ID, and which prompt you are using so we can keep track of your progress. For anyone wanting a written version, click here. You can submit two stories to each issue of the Alte newspaper and be rewarded with points for them. If you submit more than two stories you will not be rewarded with points, but you are still very welcome to submit them. 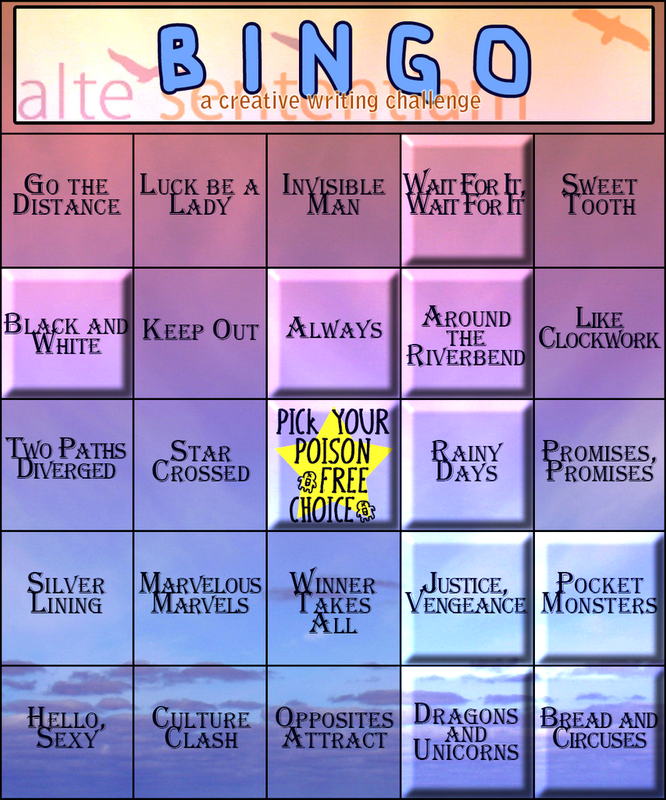 We're accepting another round of BINGO submissions for the next issue of the Alte! Get your stories in! 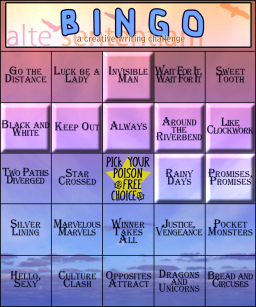 Don't forget to submit your BINGO entries! Just a few days left to do so! 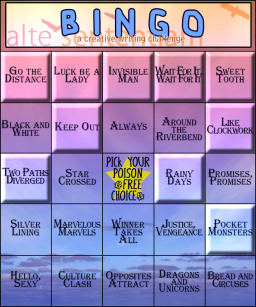 Alte is once again accepting Bingo Entries for a new issue. Make sure yours are part of it! Alte is accepting entries for it's last issue of this school year. Make sure you're part of it! Congratulations to our BINGO winners! 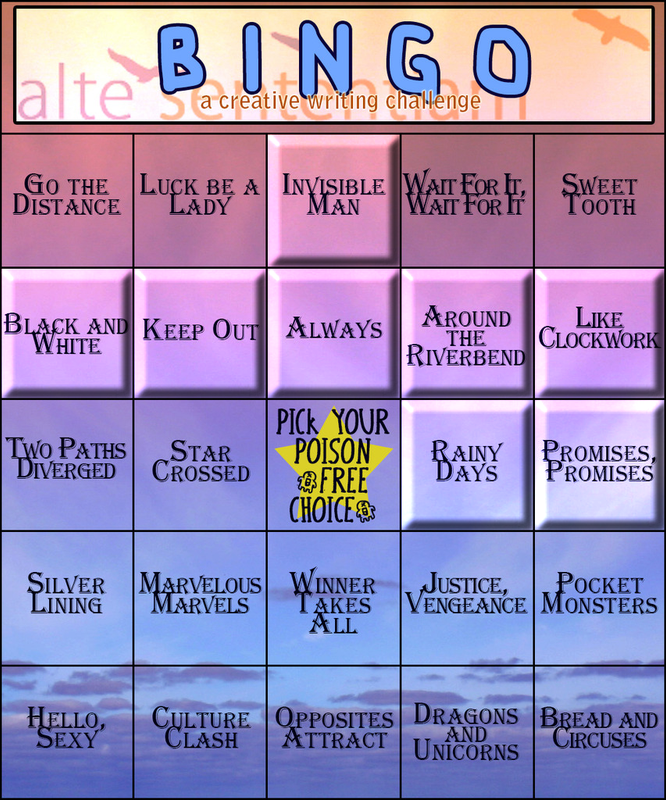 The last Alte of this school year has been published and the BINGO-boards handed in by all our hopeful writers. And it turns out we have three winners!